I using Win10 and just got fences 3 baceuse on win7 fences2 was great. 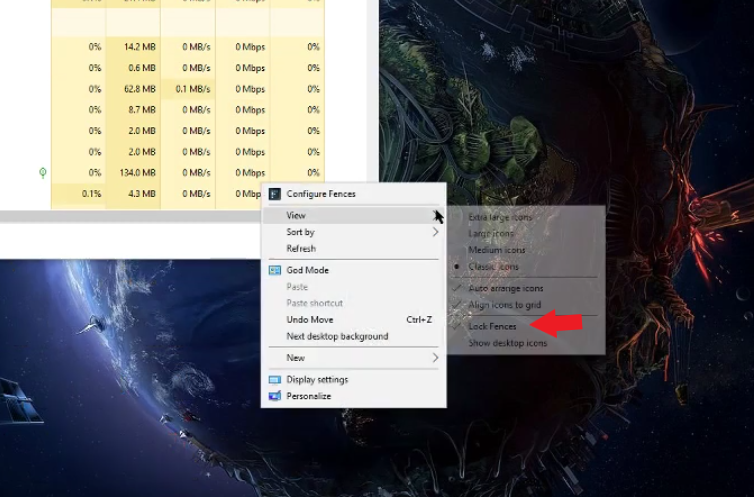 My problem is that after installation i cannot create,move,or sometimes see any of fences just arranged icons but i can click on the old invisible icons on my desktop that are hidden. I cannot move or resize any default fences on screen. I did the purge fences twice, reinstalled it many times and non of it solved it. I searched the forum for the solution but didn't find any that works for me. Sir Google too didn't give me a solution to. Any advice or solution ? Sorry to hear you are having issues. Have you try to unlock the Fences? Do any Windows settings can cause this issue ? After restarting Explorer Fences are showing just for a second then disappear. This is to see if some application is having a conflict with Fences. I can see all the fences now but i cannot move them or create any i even cannot close them pressing on X. As far as I know, that only true when you lock fences. You sure you have unlock it? A video capture on your problem might give us more information on your problem. Try to make a video grab of the problem and post it here. I was waiting to see if you locked or not your fences. But you pass through that part very fast. Manage to get a screen grab of it. It shows that you have your fences locked. Please unlock it. I did it with this option check and un-check many times before and it didn't do anything. But when you mark a rectangle on the screen there should be an option to create a fence or a folder. Anyway it wont be an issue with app i assume it works for others, i will try to change some setting in my system and i will see. If i will fix this i will post a solution here for others. szymonm987, I have the same problem since June 2018 (but on Win 7 x64) and still have no solution to that. So, in case you manage to get the solution, please, post it here! I thought I would add my two cents here. I've had this problem with Fences Pro 3 (version 3.0.9.11) since I installed Windows 10. I don't know how to fix this issue permanently, but have found a quick temp fix. Maybe the Devs will be able to use this info to resolve the issue? When I try to move or delete an icon in a fence, I get a popup error. Sometimes it mentioned rundll32 being the problem. So I go to Task Manager/Details and End the rundll32 Task. Then I am able to do what ever I want with Fences. I've done every other possible thing I could think of including lock/unlock, and nothing else helped at all. Only the rundll32 thing worked. Check that out and see if you have the same results. 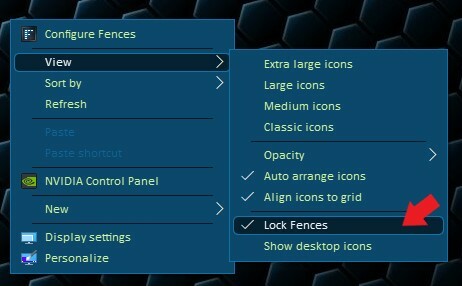 I have fences v3.09.11 installed on a Windows 10, 64 bit, Build 17134.590. Unable to resize my fences. When I right click the the desktop, no option to unlock fences. Not sure how to get the fence unlock disabled. Make sure to re-download the latest installer from your account. And reboot after the reinstall. I downloaded version 3.09 of Fences setup EXE and ran the EXE as administrator. Rebooted my Windows 10 and my unlock issue is resolved.